The San Pedro Town council has joined forces with Grace Kennedy Belize to offer a “Back to School Giveaway” for single parents in San Pedro. The promotion comes as Grace Kennedy celebrates 30 years of serving Belize and as an effort from the SPTC Traffic Department to do what it can in assisting the education of the kids of La Isla Bonita. Councilor in charge of the Traffic Department, Kenrick Brackett, told The San Pedro Sun that they will be offering gift baskets for no less than 60 single parent families on a first come basis. He is also working to provide as much as 100 or more if possible and would like to invite all single parent families out for their chance to benefit from the giveaway. Each basket will be filled with school supplies and products from Grace Kennedy Belize Ltd. Grace Kennedy will also be on hand with free samples and offering taste testing for a wide range of their products as well as new products that they are introducing to the local market. The giveaway will take place on Saturday, September 1st, the weekend before classes resume in schools. It will be held at the Central Park on the far side nearest to the Roman Catholic Church starting at 10:00am and will run throughout the day. 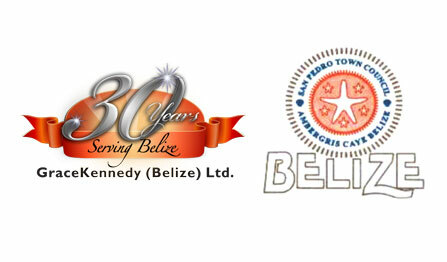 Presently Grace Kennedy Belize is one of the country’s major food and beverage distributors and has been operating in Belize since 1982. They are the exclusive distributor of Grace and Grace owned branded products and over the many years they have expanded to include brands such as Malher, Colgate-Palmolive, Huggies-Classic by Kimberly Clark, PA Benjamins, Suretox, BOP, Roses toilet tissues, Mackeson Stout and Carib Beer.